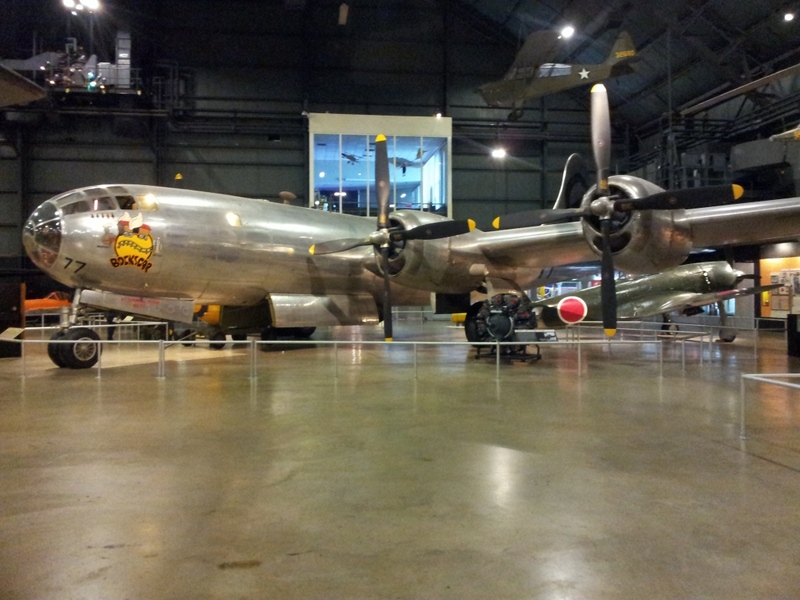 … last November, we visited the National Museum of the Air Force (1) at Wright-Patterson Air Force Base in Dayton, Ohio. That museum enables the visitor to get more close-up experiences to the story of that August 6th of 1945. As several other aerospace museums it counts with its own B-29 Superfortress… however, if the Enola Gay is displayed at National Air & Space Museum at Dulles, this one displayed at the National Museum of the Air Force (Dayton) is “Bockscar“, the aircraft which dropped the “Fat Man” atomic bomb on Nagasaki on Aug. 9, 1945, three days after the atomic attack against Hiroshima. You can read about Bockscar in the site of the museum, here. Bockscar, the B-29 which dropped “Fat Man” atomic bomb over Nagasaki on August 9, 1945. 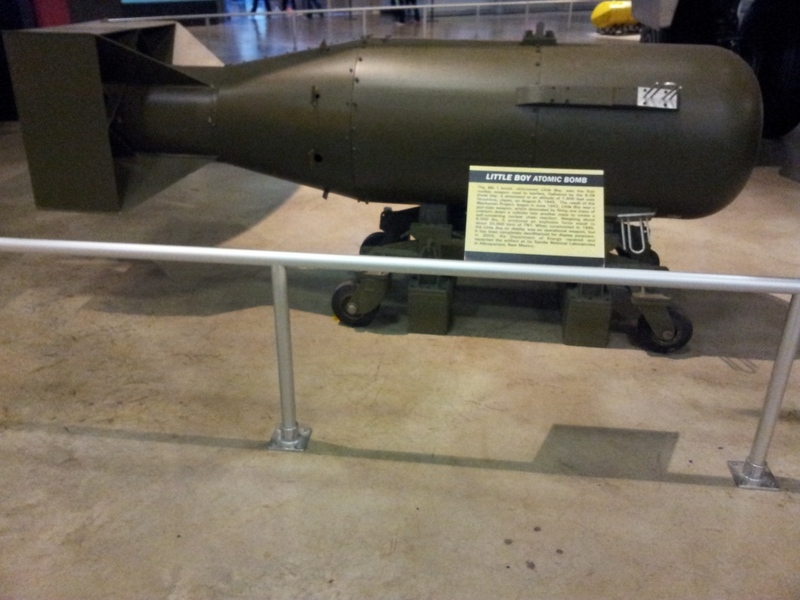 Full size replica of atomic bomb Little Boy, launched over Hiroshima on August 6, 1945. Seeing the bomber B-29 Superfortress from up close is impressive, even more if they are either the Enola Gay or Bockscar, but a completely different experience is going inside the cabin of a B-29. At the National Museum of the Air Force (Dayton) they have at the exhibit dedicated to the Korean War a B-29 walk-through fuselage in display. See here its virtual tour. My brother Jaime in the cockpit of a B-29. Flight engineer’s panel of a B-29. Bomb bay of a B-29. My brother Jaime walking down the bomb bay of a B-29. Actually, you can get very close to experiencing that by going to the virtual tour at the National Museum of the Air Force (Dayton), where you can go through all sections of the bomber B-29 Superfortress Bockscar. Find the link here. B-29 Superfortress Bockscar virtual tour. Map of US Air Force Pacific operations. 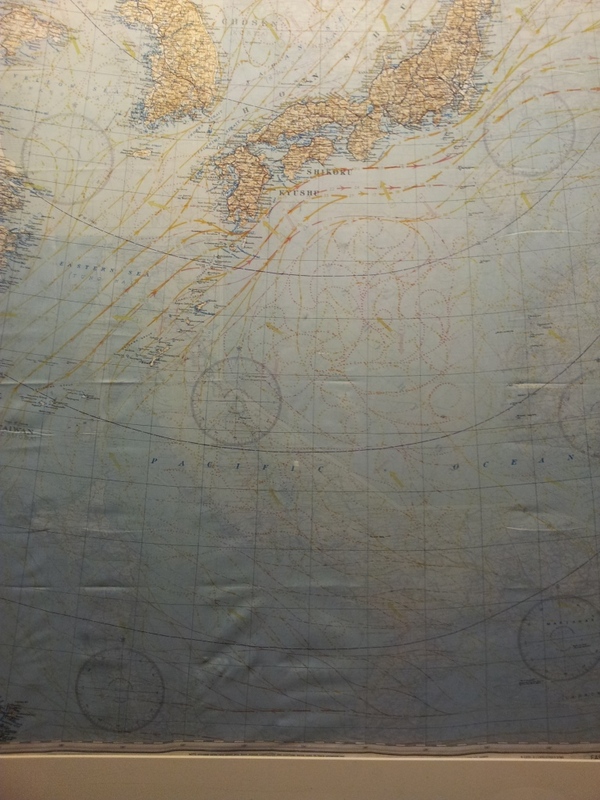 (1) I haven’t yet written a post about that museum in this blog but my brother Jaime has, find it here; a superb piece of aeronautics information.